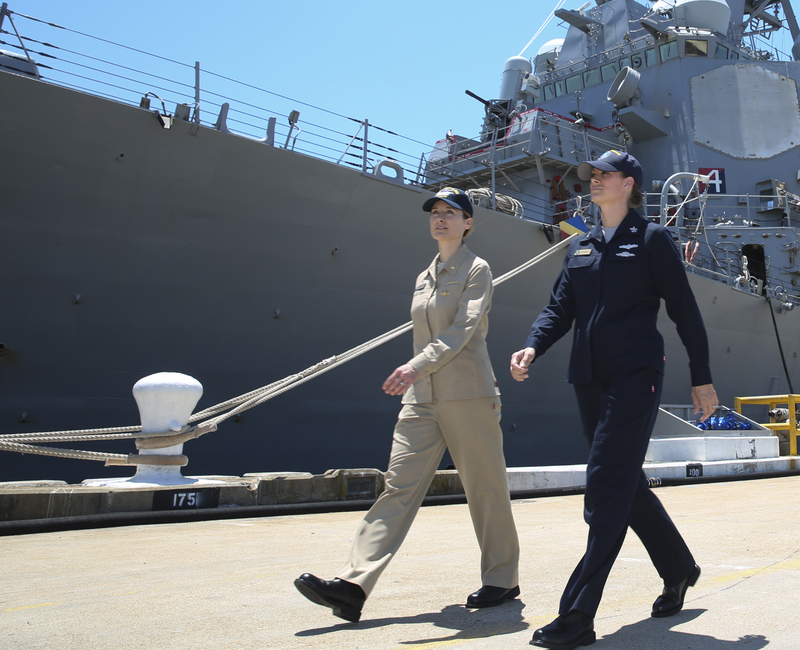 Well the take away is that the RCN will look better than the USN in their new uniforms. The boots are an interesting change. I like the sea boots. They'll go on fast once broken in. Anyone ID the badge below the SWO (Surface Warfare Officer) badge? Makes sense for quick don, but I wonder how the elastic would work in a fire situation. Won't it just melt onto the sock/foot? Neither are wearing a SWO pin. I'm surprised they're wearing metal pins at all on operational dress. Thanks, my old eyes couldn't make them out. I'm cool with it as long as they give me a BAR to walk out with. 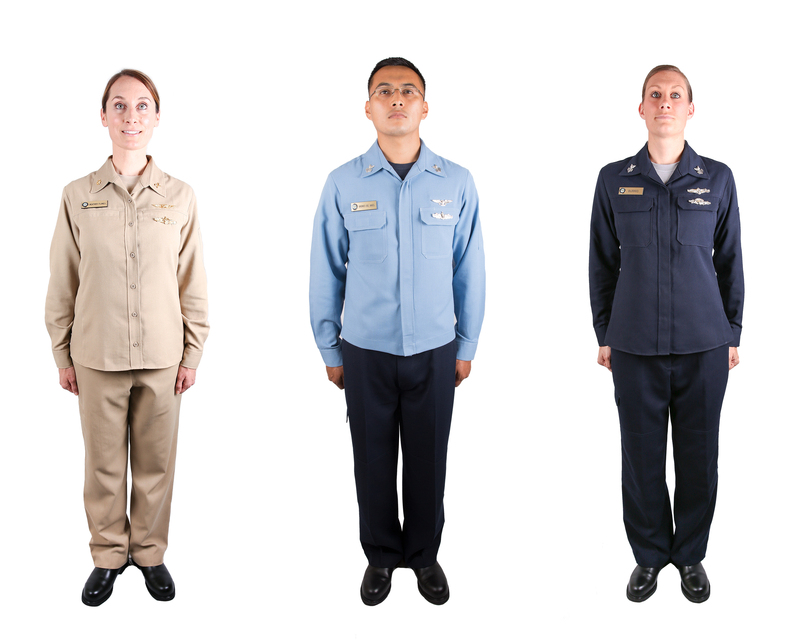 Those American Navy Uniforms are terrible looking. Those US Navy uniforms are hideous. I expect that is the result of a procurement system focused on the lowest-price bidder. I'd be happy if the moved the ships crest back to its original spot (above the name tag) and took off the Navy/Marine tag. When I saw the uniform at CANSEC I was impressed at the amount of thought gone into it. 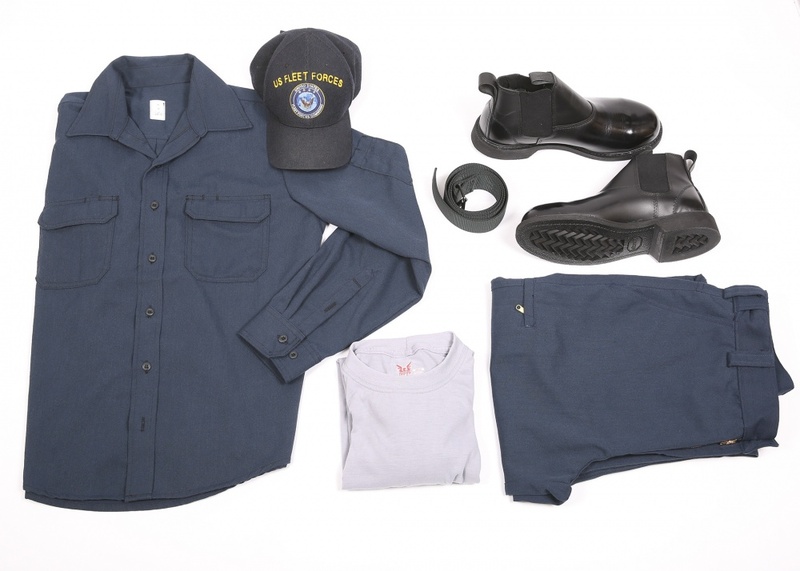 It actually looks pretty good and is fits well with what you wear NCD's for when you are at sea. They can stay there as far as I'm concerned, no need to wear them in air conditioned offices ashore! I have heard many different times for these getting rolled out. Has anyone heard anything recently? Picked up the new style floater jacket today, seems heavier than the old one and it came with a fleece liner to wear underneath. The liner can act as your second layer. Becaue being asked if you're mall security, or a buss driver is better than being easily identifable as RCN..
Maybe the idea of a blank uniform should be relegated to the wastes of history, as in reality is was a minor road bump in uniform history.